The design of the stairwell project was conceived by 5 college students from the visual arts program at New World School of the Arts. Under the direction of renown ceramicists Carlos Alves and JC Carroll the young artists collaborated to bring to fruition a work of art that depicts the tropical and welcoming South Florida lifestyle. 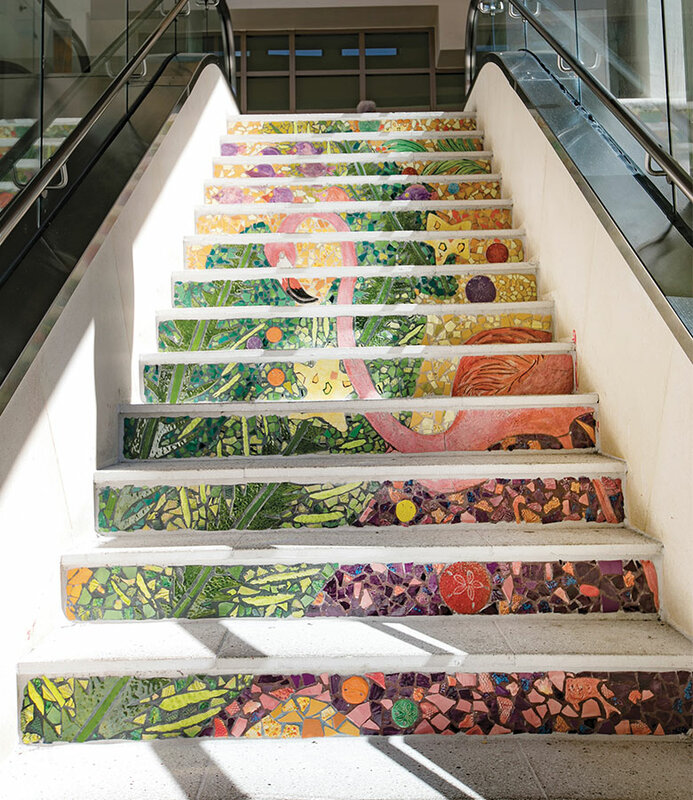 The unique project features hand-made mosaic tiles that embellish each step of the majestic stairwell through a colorful display of iconic Florida imagery.